The red conus tine curved grapple is available in four different size and designed for feed, silage, hay, packed material and debris clean-up. 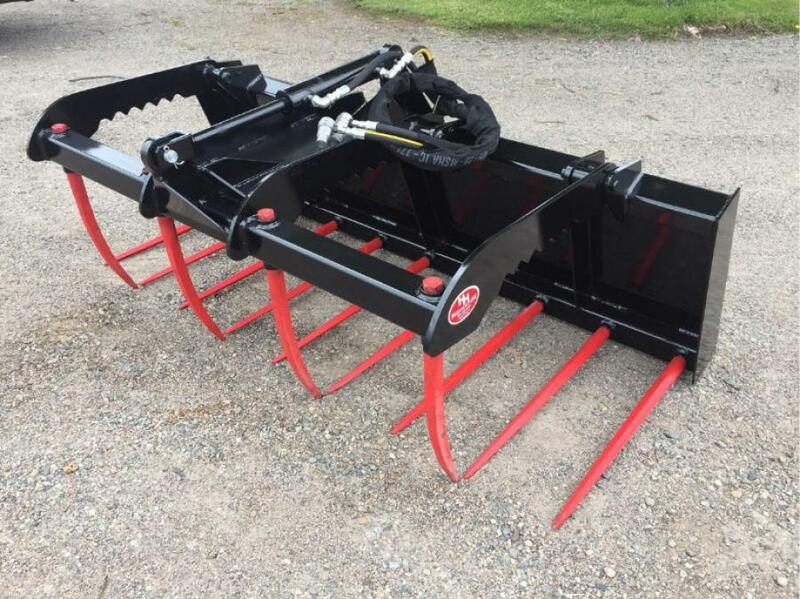 HH Fabrication & Repair LLC has been manufacturing skid steer attachments for more than 25 years and continues to do so by introducing a new attachment. The company manufactures more 30 different attachments for skid steers, tractor loaders and telehandlers and now has added the red conus tine curved grapple. This grapple is versatile, although it is specifically designed for feed, silage, hay, packed material and debris cleanup, it is not limited, according to the manufacturer. This grapple is available in four different sizes: 60, 66, 72 and 80 in. (152, 167, 183 and 203 cm). The red conus tine curved grapple is constructed of four curved conus tines: single 2 by 8 in. (5 by 20 cm) hydraulic cylinder. It is complete with cylinder, hoses and flat faced couplers with built in orifices. It has sleeved SHW conus tines — SHW with one year warranty and reinforced heavy duty universal mounting brackets. HH Fabrication and Repair also has a new website. It is located at the same web address and now has updated attachment pictures, specifications and a new customer review section so those looking at buying can hear directly from their current customer base.